The instructional model defines the essence of good teaching. What do teachers do in their classrooms every day? They follow a set instructional plan but make countless little adjustments along the way. The artistry of teaching is being able to adjust on the fly. Teachers present new concepts, model skills, and allow for practice and exploration. They adjust their delivery, pacing, and content based on how well their students are doing. The adaptive technology motion that powers SuccessMaker follows the same general rule. 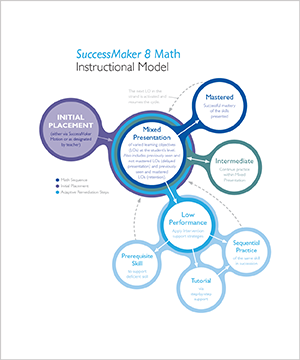 SuccessMaker begins with an initial placement, or starting level for each student. The goal is to meet the learner at his or her level, making sure the content is neither too easy nor too hard. Once adaptive placement occurs, the system adjusts the curriculum based on student performance at key decision points. SuccessMaker presents grade-level concepts and skills on a sequential path. But it’s a personalized path. Every question is formative assessment, getting at what a student knows and when a student needs support. When learners struggle, the instructional model redirects to more practice, tutorials, or review. SuccessMaker even delays presentations to reduce learner frustration. Once a student achieves mastery, SuccessMaker moves the learner to the next concept. 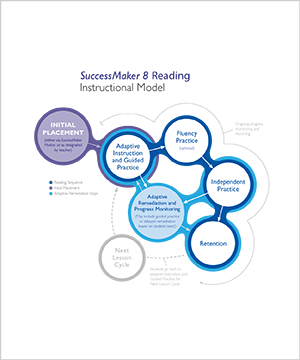 Want a closer look at the SuccessMaker instructional models for reading and math? Contact your Pearson Account General Manager to learn more. SuccessMaker doesn’t replace teachers. It supports core instruction and what teachers do every day. The adaptive motion allows for learners to work independently, while teachers manage their classroom. Teachers can designate placement, intervene, redirect learning, and provide personal support at any time. Ongoing reports track overall practice and standards mastery, helping teachers focus on learner needs. SuccessMaker saves teachers time—and makes their time teaching more focused, meaningful, and precise. Prescriptive analysis helps teachers keep each learner on pace to achieve the targeted level.